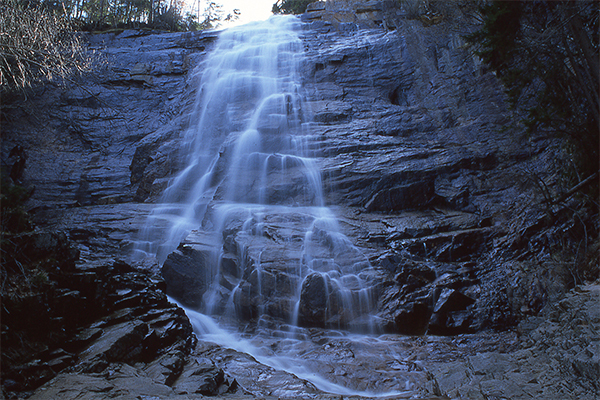 Discounting the seasonal/ephemeral waterfalls, Arethusa Falls is believed to be the tallest single-drop waterfall that is trail-accessible in New England. However, its height is of great controversy. 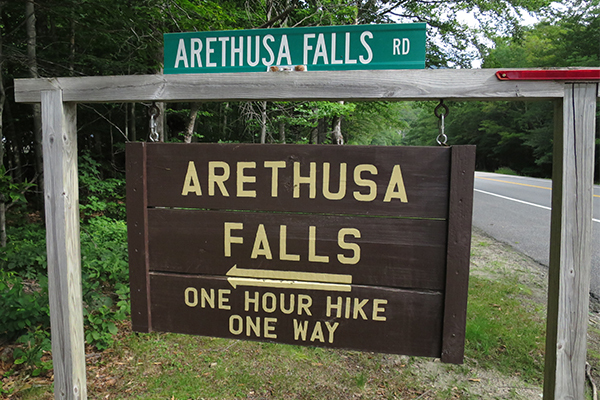 Depending upon the source, Arethusa Falls is anywhere from 125 feet tall to "well over 200 feet in height." Several other sources believe the falls to be about 160 feet, which seems most reasonable until an official measurement is made. 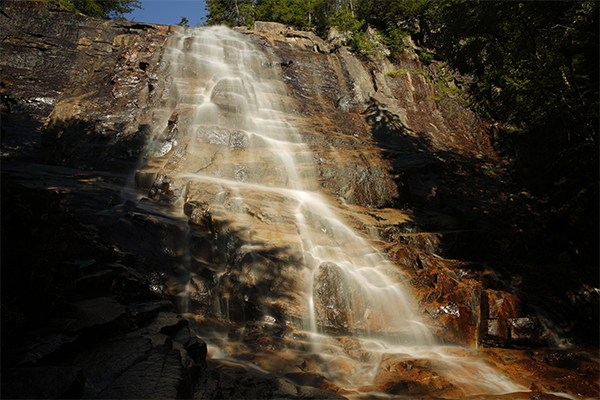 This multi-tiered plunge, which has been called Tuckerman Falls in the past, appears to fall from the sky. From the trail and the bottom viewpoints, you cannot see anything above the falls, aside from a few trees on the side of the brook. 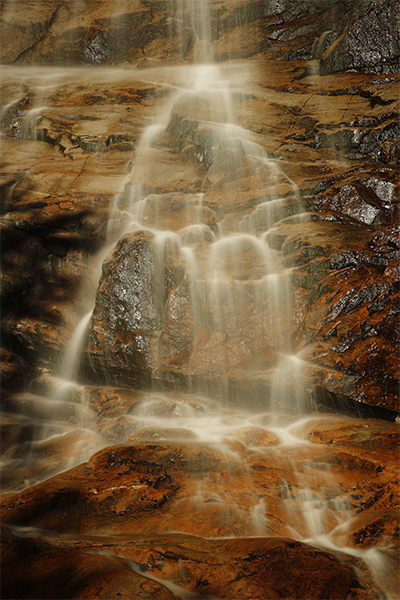 What you do see is a heavenly expression of Bemis Brook. The streams of water range from extremely powerful during high water run off times to hundreds of trickles during prolonged droughts. 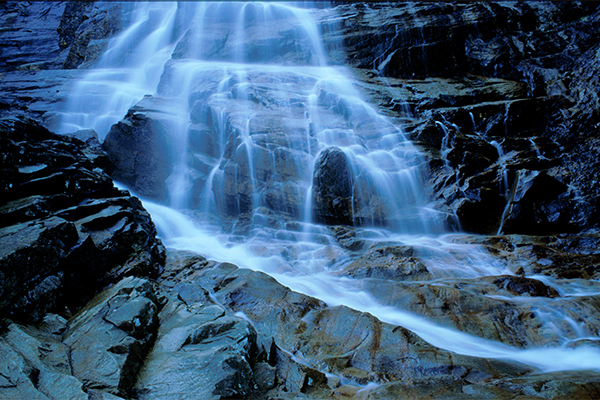 The gracefulness of the falls for most of the summer is what makes this waterfall a must-visit. 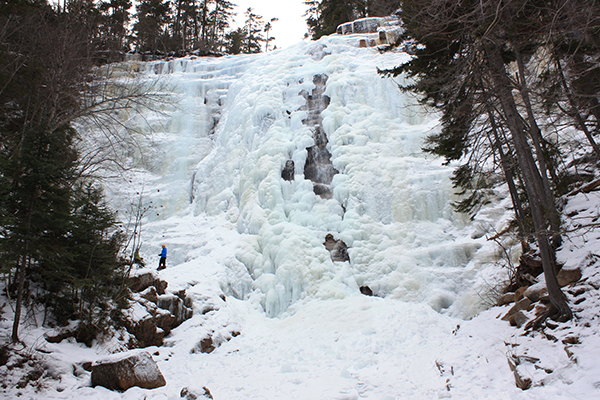 This waterfall is also a favorite for ice-climbers in winter. 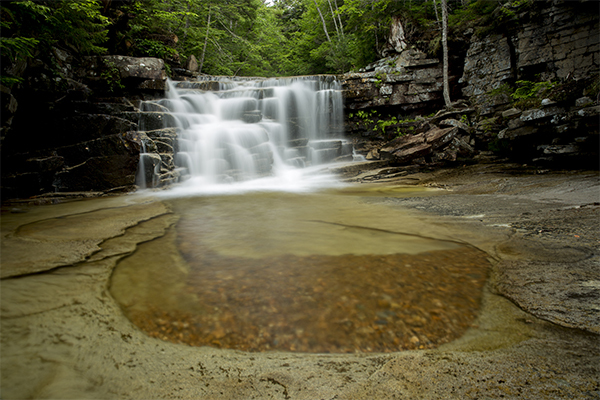 Two bonus waterfalls and a fine swimming hole can be found starting about a mile downstream from Arethusa Falls. All three of these are found on a spur trail that connects with the main trail. 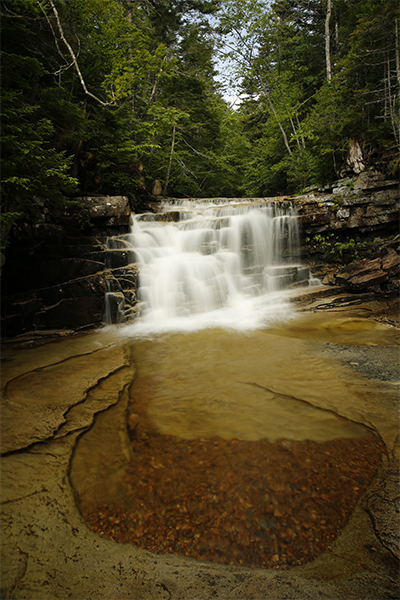 Starting from the bottom of the spur trail, Fawn Pool is a 100-foot long, low-angle slide that dumps into a fine pool. It is the best swimming spot you will find on this brook. 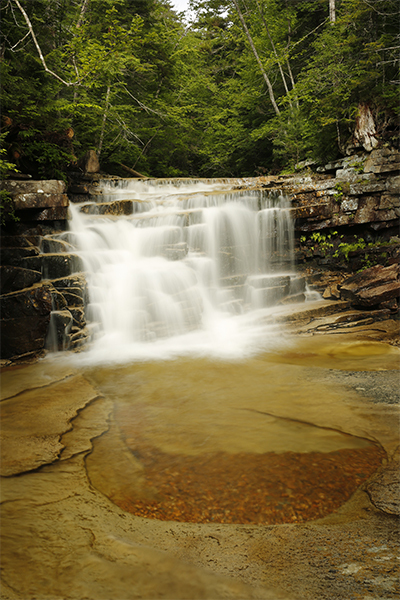 About 200 feet upstream is 8-foot Coliseum Falls, which horsetails over a steep set of small ledges into an inches-deep pool. 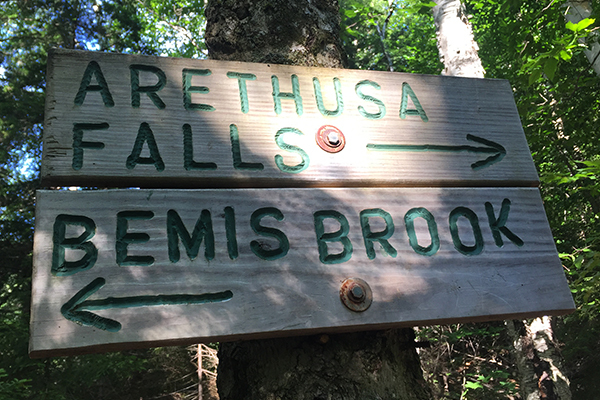 A sign hung by the state park indicates that this is Bemis Falls, but that is historically inaccurate. You can reach out and touch this falls if you do not mind getting your feet wet. 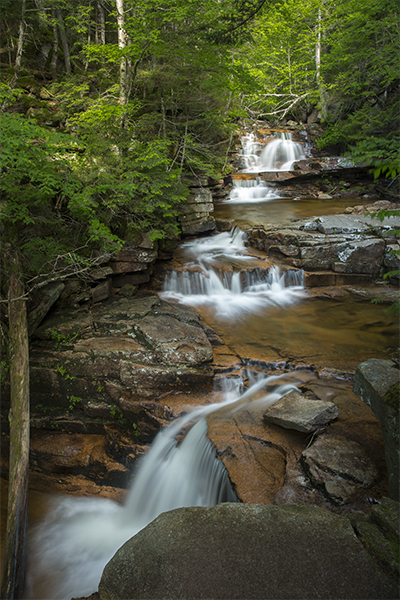 Bemis Brook Falls is 0.2 mile above Coliseum Falls and features four drops over exposed orange and pink granite totaling 20 feet. 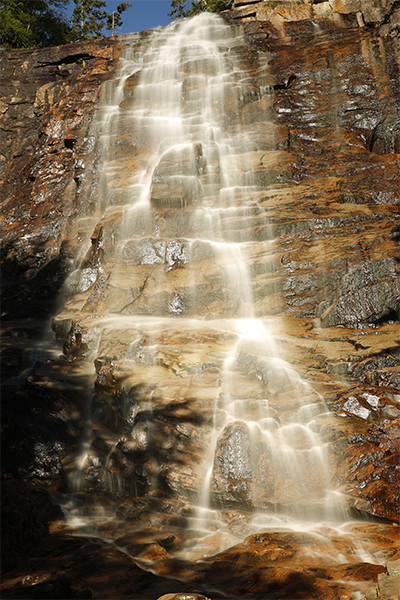 The tallest drop at Bemis Brook Falls is about 8 feet. One click of the shutter can snag all four drops in one photograph. 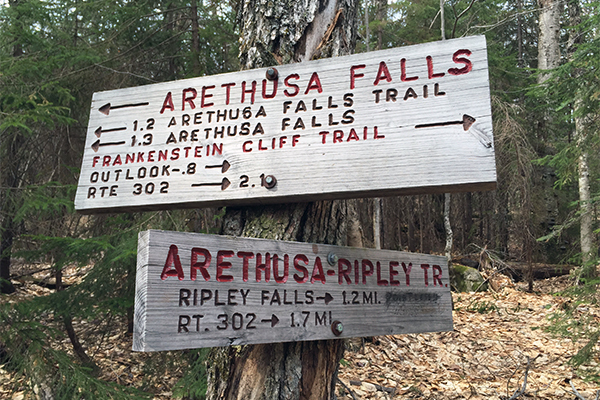 Hiking to Arethusa Falls is one of the most popular day hikes in the White Mountain National Forest. This trail will test the endurance of first time hikers. If you are not used to significant elevation gain, you may struggle on the uphill climb. What's certain, though, is that everyone appears deeply content when they finally reach the falls. 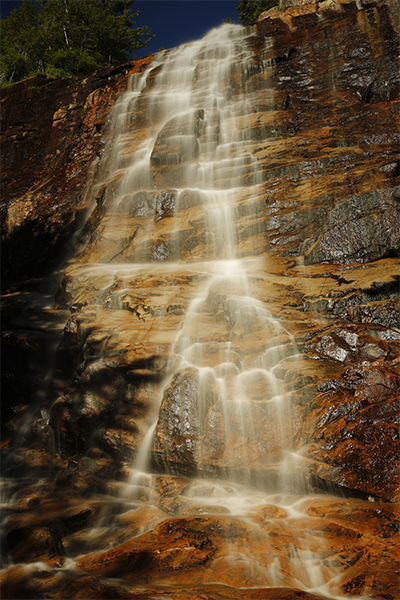 Arethusa Falls becomes, in a nutshell, a job well done for all who witness its elegant beauty. 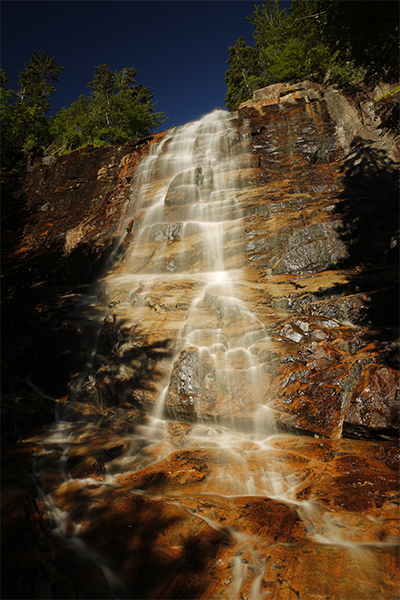 This is also one waterfall you will not want to miss during peak fall foliage, as the bright colors can be fantastic.